Oh, if only the Google Analytics Academy could be as cool as Starfleet Academy. I spent a couple hours off and on going through their beginner course and they gave me a certificate! 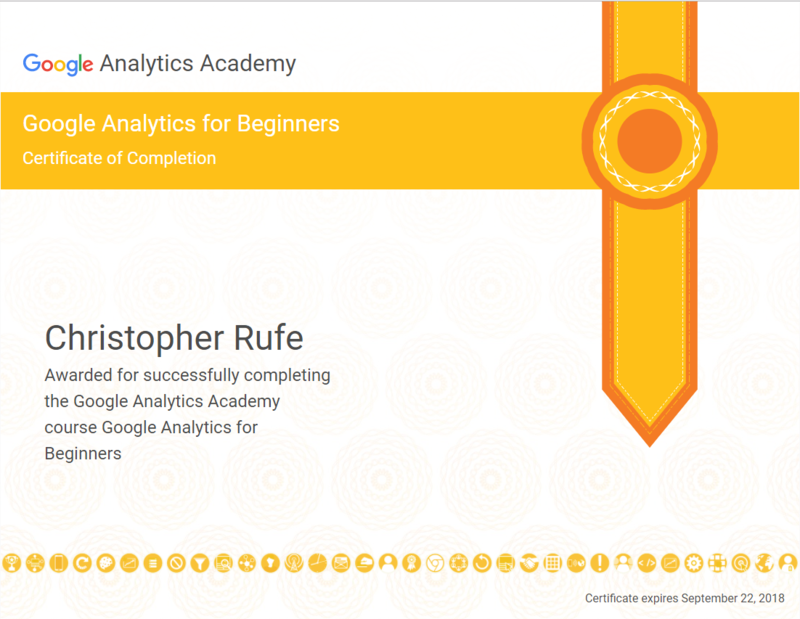 Seriously, though, the course is a nice primer into Google’s universe of data collection and dissemination. Platforms like WordPress (used here for this site and blog) and Google make it very easy to integrate and provide business owners the tools they need maintain and grow a healthy online presence.